Sunnyland is an opulent 1909, Queen Anne style,three story, brick home featuring exquisite interiors. With it's wrap-around porch, original woodwork and fireplaces, period funishings, open stairway and third level ballroom, you can leave the rush of the 21st century behind. Stay in one of our gorgeously appointed bedrooms, each with a private bath, and wake up to a sumptuous breakfast. You may never want to leave! 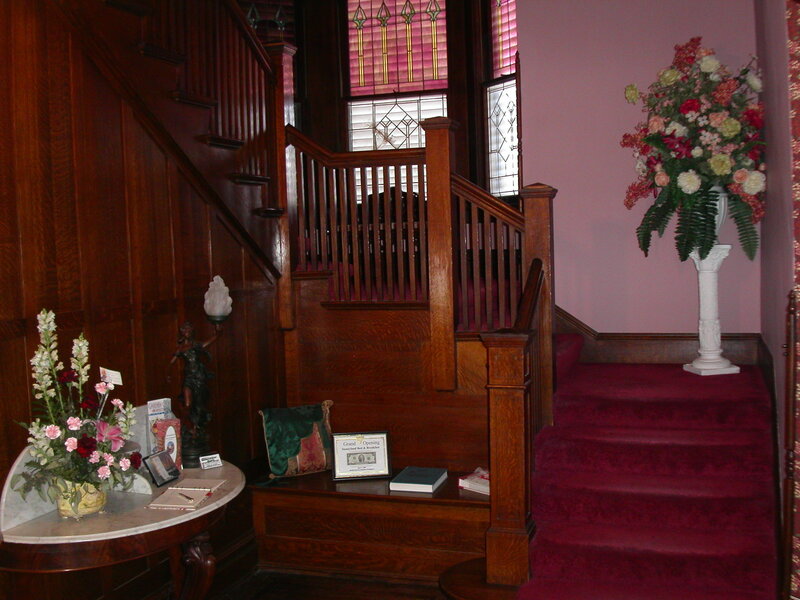 Enjoy your on-line tour of our public rooms! When you enter the foyer, you step back in time, to a day when grand staircases, stained and leaded glass windows, and English oak woodwork were the style. The foyer is wallpapered in Bradbury and Bradbury wallcoverings. Original oak fretwork frames the entrance to the music room. A 1920's player piano adds to the charm. Entering the parlor, you see the original fireplace with ornate carving and Italian ceramic tile. Located in the turret area, it has three large curved windows. An original chandelier still remains in the dining room. The built-in china hutch and original fireplace mantel boast leaded glass doors. Enjoy a glass of refreshment in the sunroom---originally a screened-in porch. 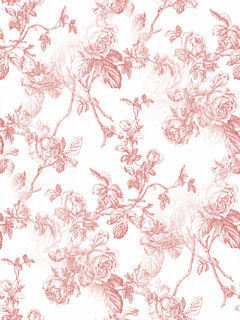 It features tromp l'oeil wallcoverings and painting. The large kitchen is roomy and fun. An old fashioned looking, but modern stove and antique seed/candy counter add to the aumbiance. Sunnyland was the three story retirement home of David R. and Maretta Menke from 1909 until they sold the property in 1917 to retire in California. He was born in Pittsburg, Pennsylvania March 4, 1848 and married Maretta Urie in 1869. With three small children, Mr. an Mrs. Menke started for Western Kansas in early summer of 1878 and arrived in Garden City on August 20, 1878. He opened the first store, was the first postmaster, developed a sheep ranch of 1,700 acres, was a cashier of the First National Bank, and was county treasurer. Mr. & Mrs. Menke moved to apartments in the Windsor Hotel in 1896. He took charge of it, revived it, purchased it and two years later sold it to good advantage. The honor of the most firsts in Garden City would be his! Mrs. Menke was also active in the community. She was treasurer of Garden City's first public library. 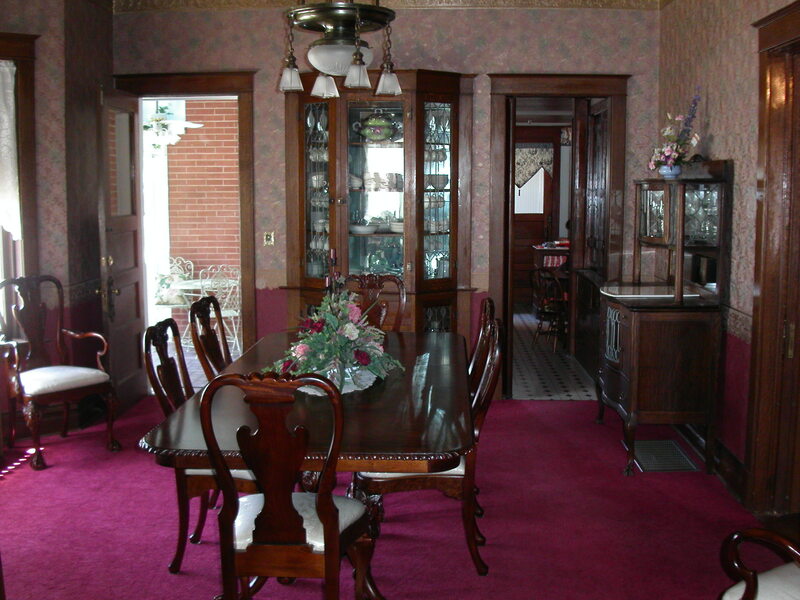 Sunnyland has had six owners, from 1909 to the present, serving as a boarding house from 1959-1996. It is listed on the Kansas Historical Register.